Baby Showers, Bachelorette Parties, Anniversary Parties! As You Wish can make your occasion a memorable event. You and your guests will enjoy being creative together in our bright, festive studios. 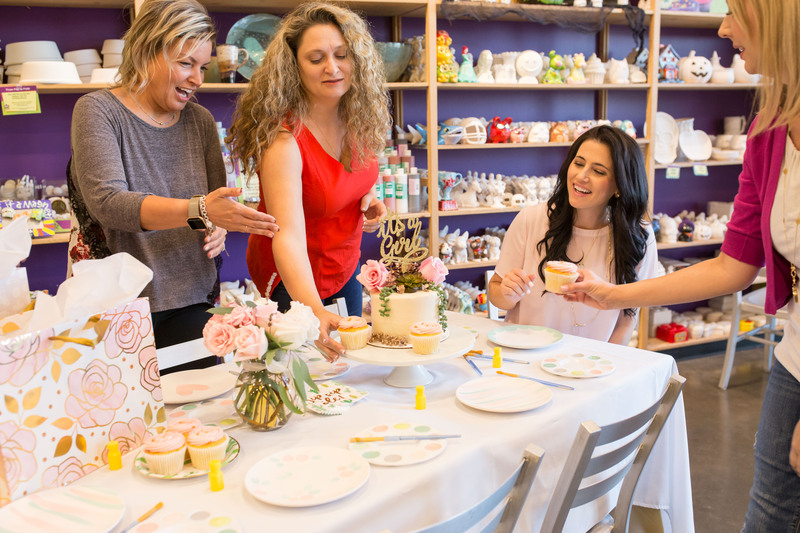 You may choose to have your guests paint their own keepsake, or pick out colors and pieces in advance and have them personalize a dinner set or kitchen accessories. The possibilities are endless and so is the fun!